ith Friday September 11 being the 14th anniversary of 9/11, it is important to note that in the United States of America there is no statute of limitations for the crime of murder. 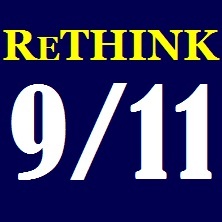 For those who read and interpret that statement as a suggestion that there are people who carried out 9/11 who up until today “got away with it”, there are mass murderers walking free, and that a new, real investigation of 9/11 is still necessary after fourteen years – their supposition is 100% correct. The increasing number of men and women in America and around the world who’ve come to either have serious doubts about or flatly reject the narrative pushed forward by the official 9/11 Commission Report will become very active this week of the anniversary. With the overwhelming surplus of disturbing facts unearthed and compiled by researchers, experts and distinguished men and women from nations around the Earth in the years since September 11, 2001, there are now profound reasons for people to merit demand for an independent investigation. What makes the case for a real investigation so compelling, and next to impossible to ignore any longer, is the high-quality people who are calling for one. The large number of men and women advocating another look at 9/11 who are university educated, highly respected in their fields and communities, completely rational and sober – have proven their character, and achieved the status to have their voices heard on this grave matter. They’ve come to fully understand that 9/11 is extremely important and must finally become thoroughly addressed. What is important about the great majority of people calling for an investigation is that their intellectual and psychological health places them in a class the furthest distance one can imagine from what some label as “conspiracy theorists” or “tin foil hats”. The woman psychologist who appears toward the end of “9/11: Explosive Evidence” was likely speaking for Americans, but could just as easily have spoken for humanity when with great insight she said “We need the truth in order to heal”. The film delivers a number of outstanding statements providing incontrovertible reasons for a new investigation of 9/11, but that woman psychologist’s profound statement is perhaps even more important than them all. Anyone who has the average amount of awareness of the events of September 11, 2001 knows how destructive have been subsequent events in the years since 9/11 occurred – and how varied have been the giant negative consequences on all levels from personal to global. From personal psychological trauma experienced by people upon learning the deceptions which occurred on that history-changing day to the millions who’ve perished in wars based on those deceptions, and at all harm-inflicting levels between, the cumulative physical, mental and spiritual damage is unprecedented in its various major dimensions. That with regard to 9/11 “we need the truth to heal” cannot be denied, so the time is now to get to the truth and allow the urgently required planetary healing to begin. It is impossible to overstate how important it is to carry out an independent investigation and get to the truth about what happened on 9/11. Continuing to ignore the powerful evidence that’s been uncovered is analogous to a person ignoring evidence of a life-threatening cancerous condition. The people of the United States and the world, especially the world’s honorable political, spiritual, academic, military and business leaders, must speak out on this truly global form of cancer/disease now. Honorable leaders and all honorable men and women must demand truth to prevent conditions from deteriorating any further. The people responsible for unimaginable high crimes committed on September 11, 2001 have yet to become identified, prosecuted, punished and stopped from carrying out more crimes of the same violent, horrendously destructive type. It’s been fourteen years, and people have no idea what the number of repetitions, what amount of other criminal harm, has occurred in that time. Although war criminals of 9/11 haven’t been caught and punished in fourteen years, more and more people around the world are becoming aware of the deception and realizing how urgent is the effort to get to the truth. As each day passes and the evidence continues being ignored, the more urgent becomes empowering the global effort to force leaders and decision-makers to act and arrange the investigation. Of all the major historical events of deception white-washed, manipulated to hide the facts, or otherwise buried so preventing access to truth by the people, 9/11 rises to a level by itself which simply cannot be ignored and allowed to slip incrementally, while time marches on, unresolved into history. It was, and it remains, an existential event. 9/11 as historical event has such high singular importance that a self-asserting sane, moral, wise and caring civilization can only respond with absolute righteousness.